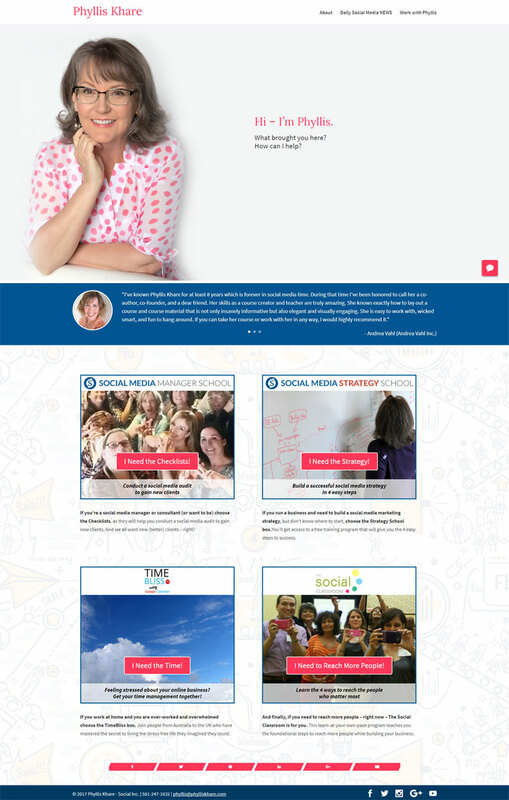 Phyllis Khare is the co-author of Facebook Marketing All-In-One for Dummies with Andrea Vahl and Amy Porterfield and she’s the author of Social Media Marketing eLearning Kit for Dummies. She’s the Co-Founder of Social Media Manager School and Social Media Strategy School. Phyllis is also the social media strategist for Peaceful Media — consulting with thought-leader brands all over the world.